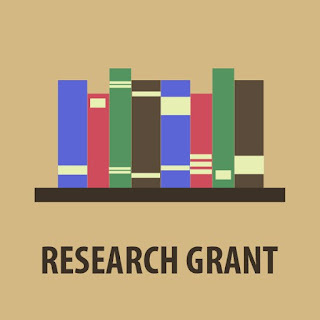 Thomas-Bassir Biomedical Foundation (TBBF) Research Grant Application Form, Eligibility, Rules and Regulations, Application Guidelines for Researchers 2019 Session. The Thomas-Bassir Biomedical Foundation (TBBF) is a non-profit, non-governmental charity founded by Professor H. Oritsejolomi Thomas, CBE, CON, FRCS in 1974, with the aim of advancing knowledge in human and animal health through research, for the benefit of the Nigerian people. This grant mechanism is aimed at supporting research projects that can be carried out in a period of two years. Collaborative interdisciplinary research within or between departments. Travel to, attendance at, or the organization of, conferences, symposia and similar meetings relevant to TBBF supported research that fall within the TBBF remit. The Foundation will not support established lines of research arising from pilot studies or projects pursued from year to year over a period of time. Expenditures must not be incurred before the grant has formally been offered and its Terms and Conditions have been accepted. If use of a facility other than that in the original proposal is involved, such use must be approved in writing before funds are actually awarded. If possible, include such contingencies in the original proposal. No salaries, wages, consultants’ fees, or institutional overhead will be paid. (Note that no institutional endorsement is required on proposals. An applicant must be a researcher (full-time or part-time)’ of a Nigerian University or Research Institute. This means, a M.Sc., a tenured staff at, or above, the level of Lecturer, or equivalent. The Foundation can also consider applications from former members of academic staff of similar level who have retired from established posts in Nigeria, but are still working under the aegis of a Nigeria University or Research Institute. If the applicant is not an established researcher, an application will be accepted only if the applicant is working under the aegis of a Nigerian university or Research Institute. Such applicants must present with their application a letter of support from the Head of Department of the supervising academic staff of the University concerned. The application may not exceed 2 pages (with an additional page for ‘Budget Justification’). This grant cannot be renewed – A follow-up application will be treated as a new application. A doctoral student may apply for the grant to support thesis or dissertation research. This award may also be used to assist Masters Students who are pursuing dissertation studies when the work is within the scope of the TBBF award. Such applications must be endorsed by the student’s supervisor. Endorsed by the supervisor and Head of Department. Applications should be submitted electronically as a Word attachment to the foundation email- address. Demographic details of the applicant(s) and the institutional affiliation should be provided. A proposal for the project should be included and this must not be more than 1,500 words. Applications for grants shall be considered at statutory meetings of the Board of Trustees which hold in March, June, September and December. The dead line for applications to be considered at these meetings shall be: January 31, April 31, July 30 and October 30, respectively. Applications received outside these deadlines will be considered only at the nearest statutory meeting following. Note: 6 hard copies of applications must be deposited at the TBBF office in Ul or posted to TBBF, P. 0. Box 20861, Ul Post-Office Ibadan. The Foundation reserves the right to consult external referees about the merits of an application. All references will remain confidential between the referee and the Foundation, and will not be disclosed to the applicant without the referee’s written consent. Applicants are responsible for ensuring that their referees are willing to act. Applicants are informed by letter of the outcome of their application. The Foundation will not enter into correspondence concerning the decisions of the Executive Committee. A grant made to one individual for a specific purpose cannot be transferred to another individual or be used for a different purpose. The Executive Committee of the Foundation will not consider more than three applications from the same individual over a period of five academic years.